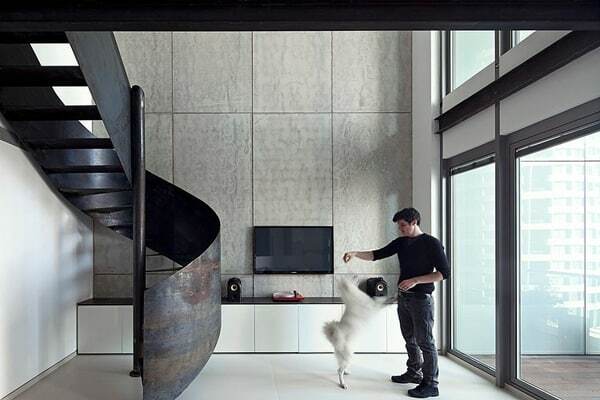 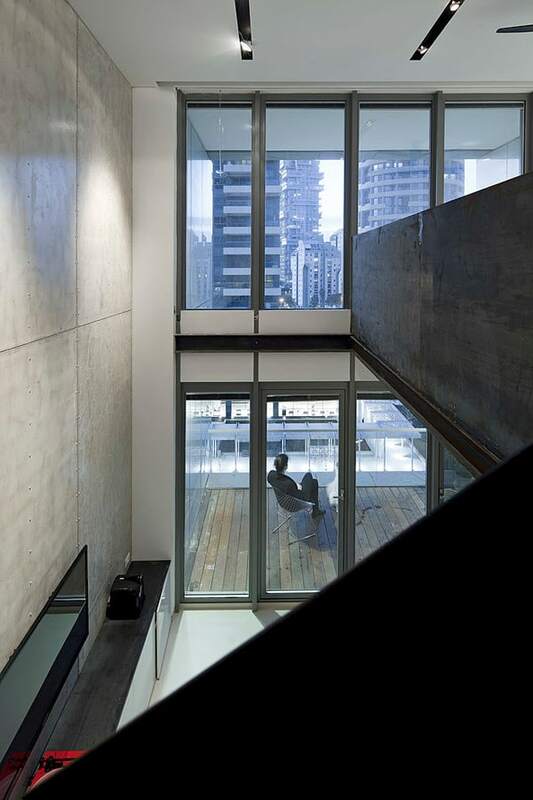 Nam Dger Apartment is a unique modern home situated in Nam Tower in the heart of Tel Aviv, Israel, designed by Gerstner Architects. 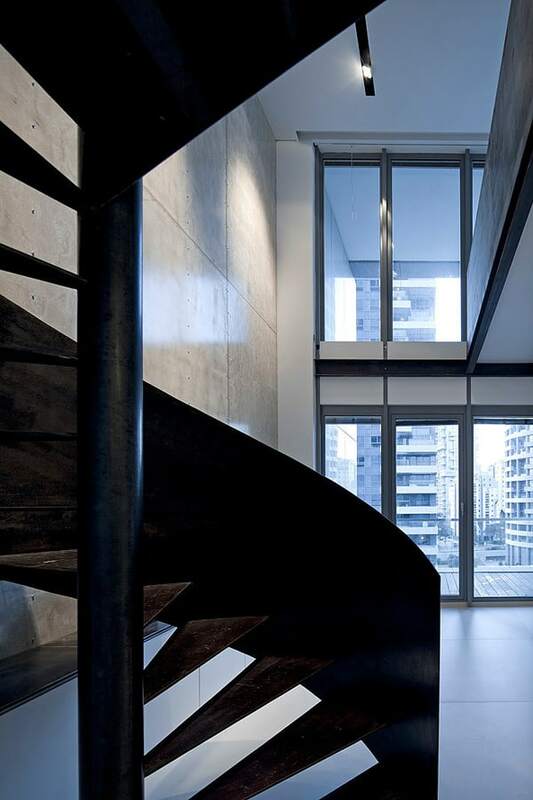 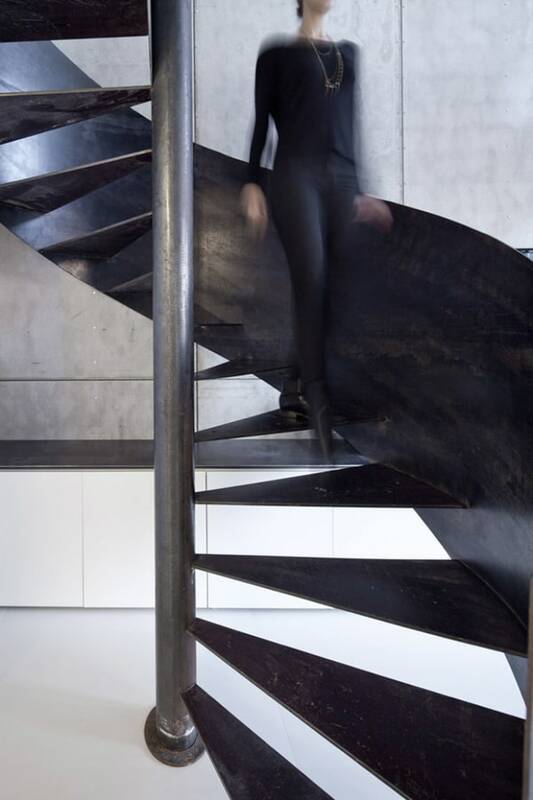 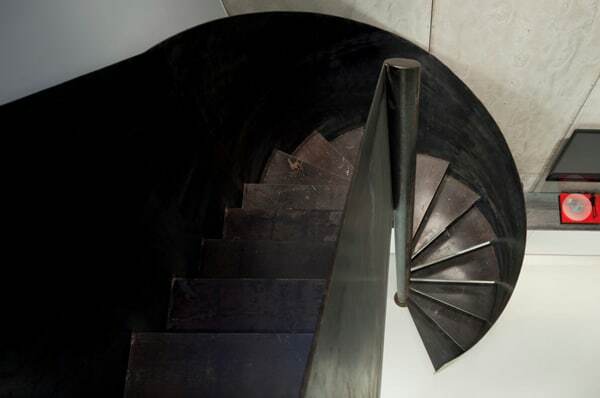 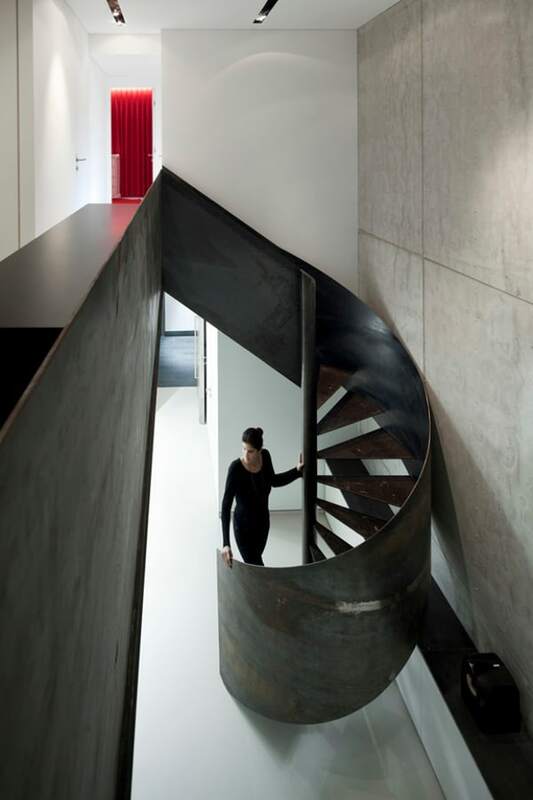 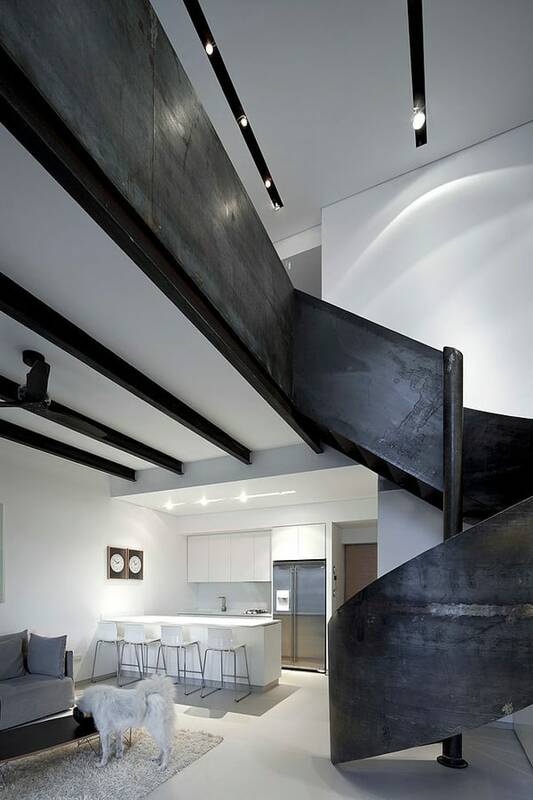 The most intriguing feature about this home is its sculptural steel staircase as the focal point of the home. 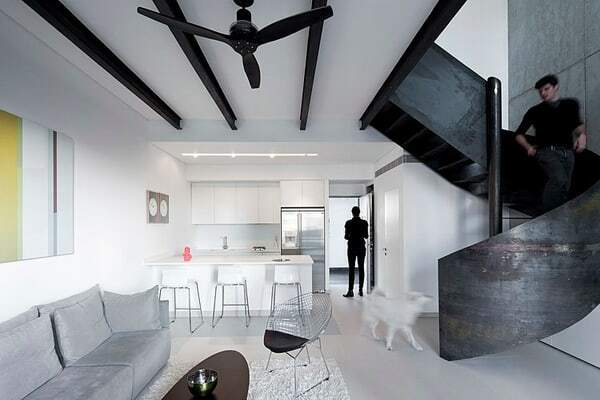 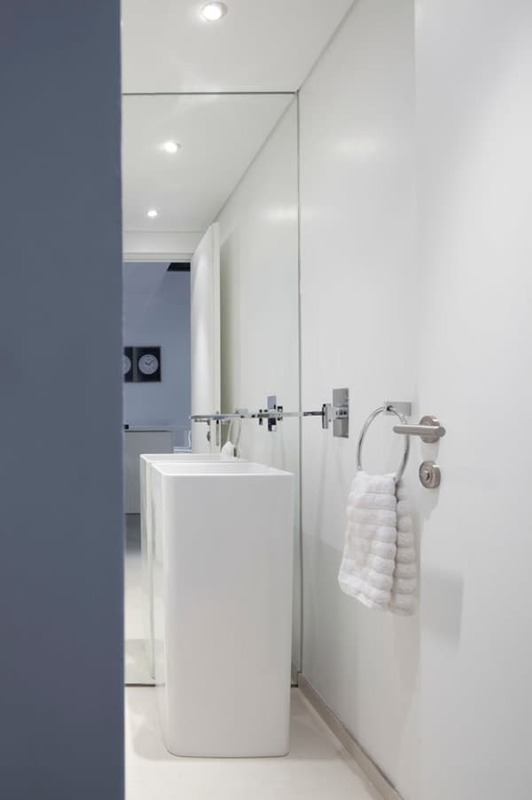 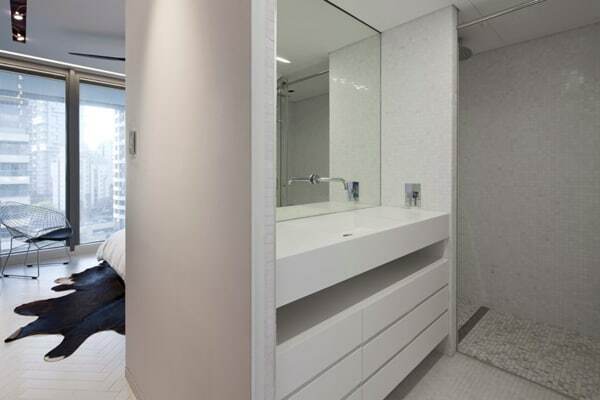 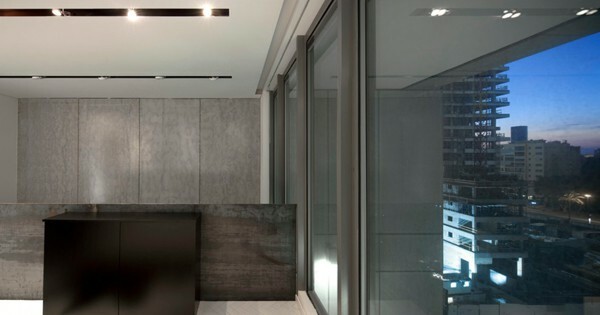 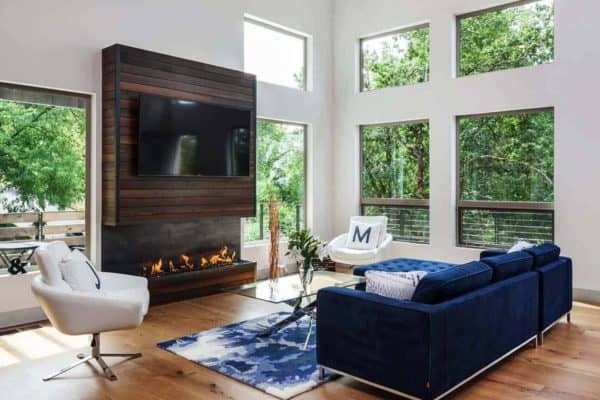 This two-level bachelor pad showcases sleek white interiors and modern furnishings of minimalist design. 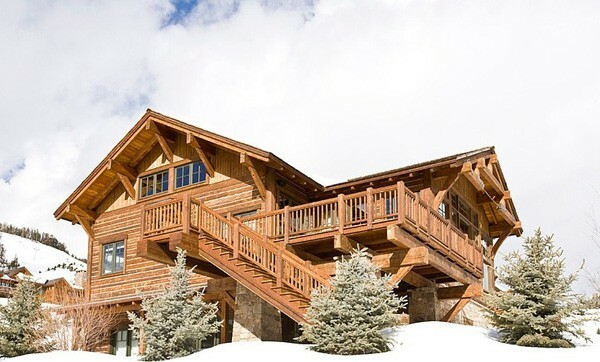 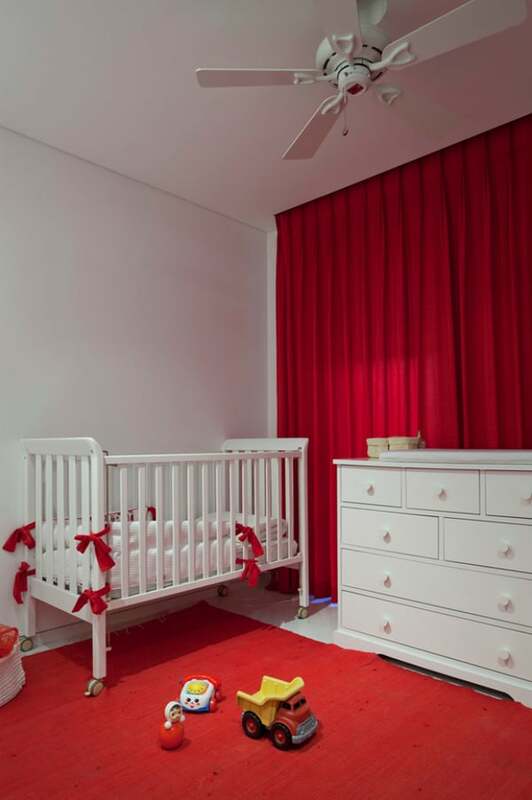 There is an upstairs mezzanine level that encompasses the private areas of the home, a master bedroom and nursery. 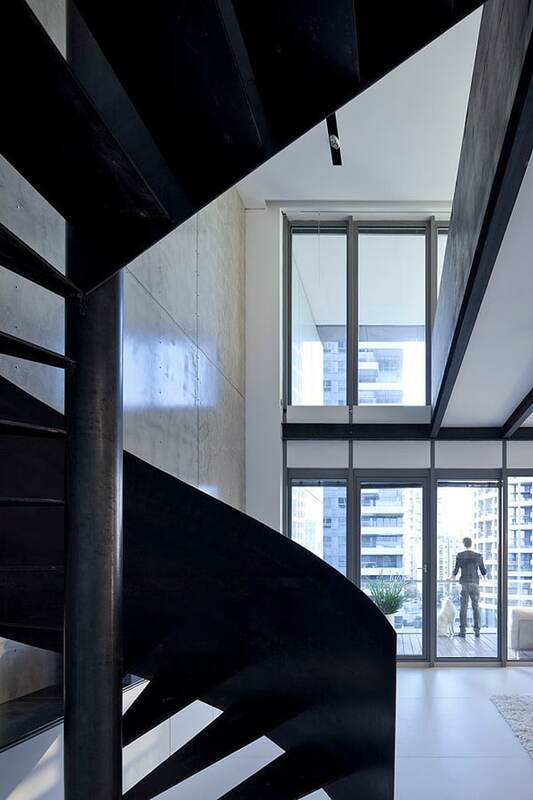 A large embankment of windows along the front of the home looks out onto the busy city, extending out to a spacious patio. 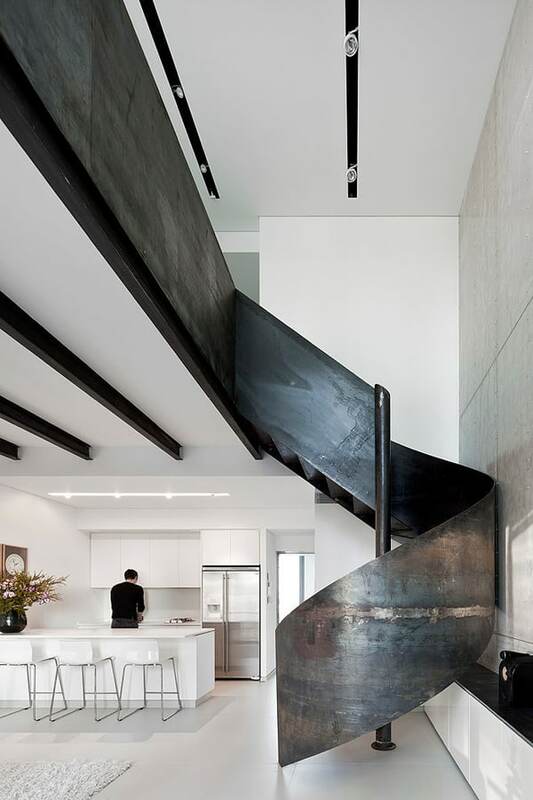 Looks to me as if the rolled piece of sheet steel railing was re-welded and unfinished.What’s with the big seam on the outside? 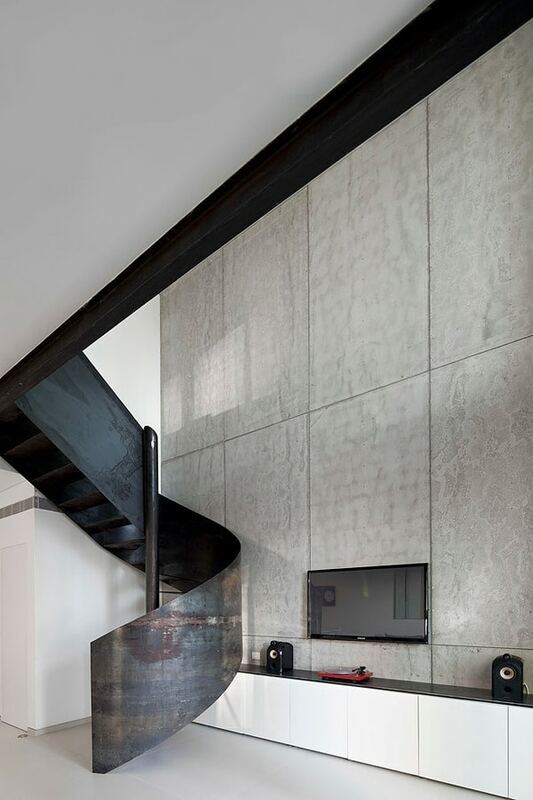 And there could have been an interesting pattern laser cut into the sheet before it was rolled.The final effect would have been more dramatic while letting ambient light into the stairwell providing at least a little illumination to the stairs,which seems a needed safety feature.